2018 brings one of the most fascinating artists of the Renaissance back into the international spotlight, with events in Spain, in the United Kingdom, and in Italy. In the Marche region, a major two-track exhibition leads from Macerata, where the works linked to this land, but scattered around Europe, go back, to Lotto’s masterpieces, which are preserved in the territory. Among villages, hills and sea. 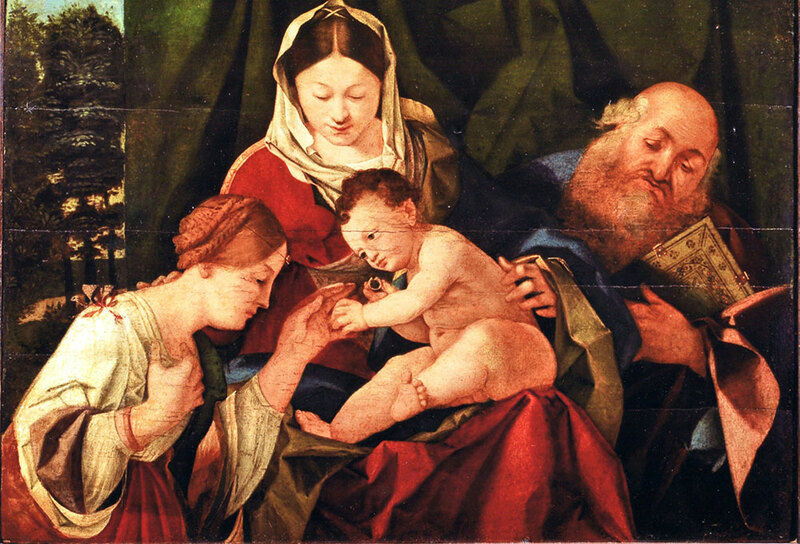 Lorenzo Lotto goes back to being protagonist in the Marche region, his chosen land, in a very special year. In fact, 2018 has internationally put the spotlight on him. He is now at the heart of an appreciated exhibition which is dedicated to his portraits in two of the most important museums in the world: the Prado Museum in Madrid, where the exhibition ended last 30th September, and the National Gallery in London, where the exhibition will open next November. The Marche region could not miss this “unpredicted” year, since its land has been an essential landmark for Lotto’s life and training. In the autumn and winter 2018, concurrently with the two exhibitions in the prestigious Institutions in London and Madrid, and in collaboration with the State Hermitage Museum, this land becomes scene of an exhibition and of collateral and extremely valuable initiatives. 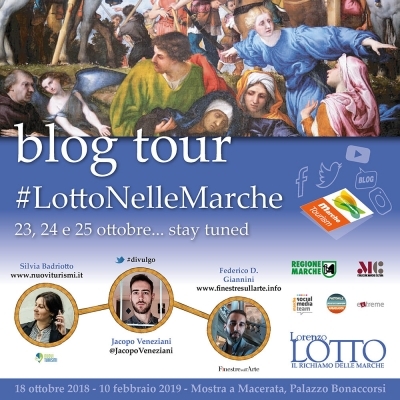 Promoted by the Marche Region along with Macerata Municipality, they will let the public rediscover the extraordinary heritage left by Lotto, in a region that is unique in terms of quantity and quality of Lotto’s works. In the meantime, the public will be able to understand the deep bond linking the Venetian Master to this land, where he kept going back to create and be inspired. He chose to die and be buried here. From the 19th October 2018 to the 20th February 2019, Palazzo Buonaccorsi, where Macerata Civic Museum is, will host a big and unusual exhibition, organised by Villaggio Globale International. It will gather for the first time all Lotto’s pieces: the ones that have been created for the territory and then scattered around the world, and those that have had a strong tie with the Marches for history and realisation. It is a research exhibition, which is somehow experimental and wants to combine expositive power, follow-up multimedia supports, great masterpieces, but also sparks for research and critical discussion. It is a valuable exhibition. It reveals to the public some unpublished documents about the artist’s work and some pieces which have never been exhibited before. 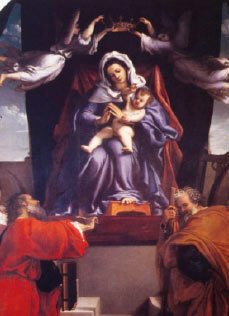 Among all, there is the “Venus dressed up by the Graces”, part of a private collection. It was publicized by Zampetti in 1957 but stayed in the dark for seven decades. It’s one of the most striking novelties of the exhibition! 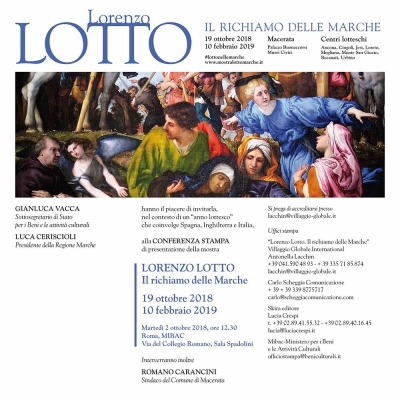 This exhibition necessarily ends up in the Marche region, setting itself in close dialogue with Lotto’s works (25 pieces), which are scattered in the different museums and intentionally left in the institutions of belonging. Along with Macerata, the cities and towns of Ancona, Cingoli, Jesi, Loreto, Mogliano, Monte San Giusto, Recanati, and Urbino shape a scattered exhibition to be experienced within the stunning artistic and natural heritage of the Marches. The last tragic earthquake that hit the centre of Italy has wounded the region, which is tenaciously aiming to enhance its immense heritage. 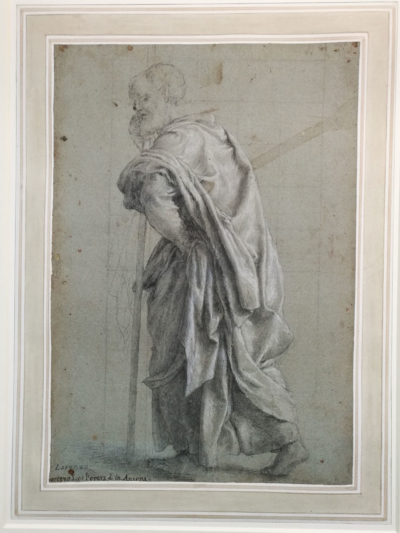 Enrico Maria Dal Pozzolo, one of the leading experts on the artist and co-curator of the exhibitions in Madrid and London, is curating this exhibition, in collaboration with many scholars from the Marches. 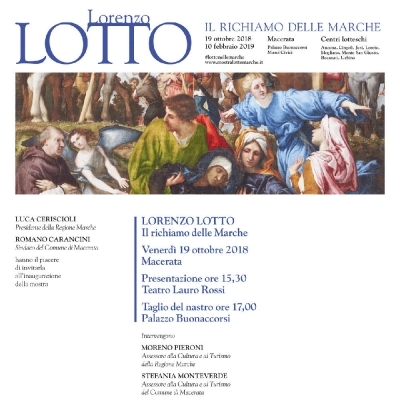 The exhibition will show more than 20 authentic paintings and 7 drawings by Lotto, and some extraordinary graphic works by great artists, such as Dürer and Mantegna, who inspired Lotto. To contextualize his works in this land, the exhibition will show some valuable manuscripts and volumes, globes and ancient maps. Palazzo Buonaccorsi, at the heart of Macerata, will gather for the occasion Lotto’s pieces from international collections, such as the Gemaldegalerie of the Berlin State Museum, the British Museums in London, the Louvre Museum in Paris, the Brukental National Museum in Sibiu, the Prado Museum in Madrid and the Strasbourg Fine Arts Museum, but also the Poldi Pezzoli Museum in Milan, the Correr Museum in Venice, and the Quirinale Collections. 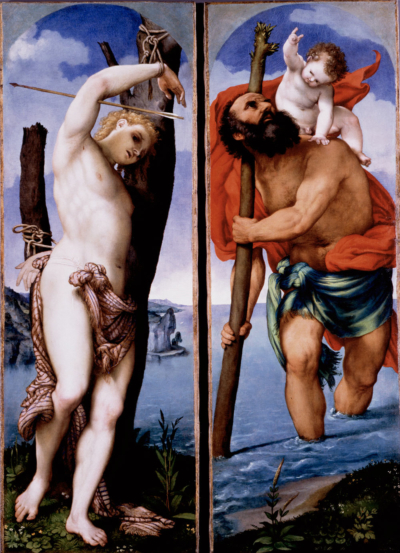 For the first time in Italy, “Saint Christopher” and “Saint Sebastian” are shown. It deals with two panels of a missing polyptych that Lotto painted for the Church of Castelplanio, a small town not far from Jesi. Between 1819 and 1821, Prussia acquired the works from the English merchant Edward Solly. 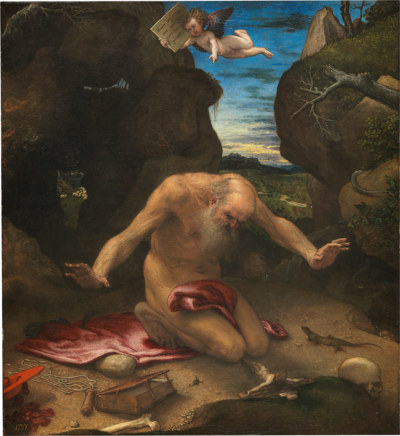 They have been restored at the Getty Museum: they revealed some parts that were hidden by the frame showing a sublime and thorough painting of Saint Sebastian’s naked body, which is very rare in Lotto’s works. 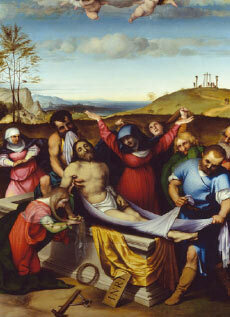 Two of the essential works by Lotto arrives from the Hermitage Museum of Saint Peterburg. One of them is “Christ leads the Apostles to the Mount Tabor” (1511-1512), predella of the stunning “Pala di Recanati” that can be admired in Recanati, the close Leopardi’s birthplace. The “Sacred Conversation” arrives from the Uffizi Galleries and will be exhibited for the first time after an exceptional restoration. It dates back to 1534, when Lotto was surely in the Marches. 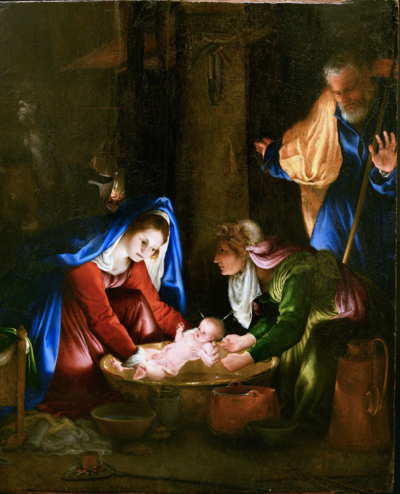 The stunning and unexpected shade of the painting and its complex iconography confirm the greatness of this artist, who is able to enchant with his “magic vibrations of light. This melancholic and agitated painter was not adequately appreciated in life, but since the end of the ‘800s critics has considered him one of the major painters of the XVI century. 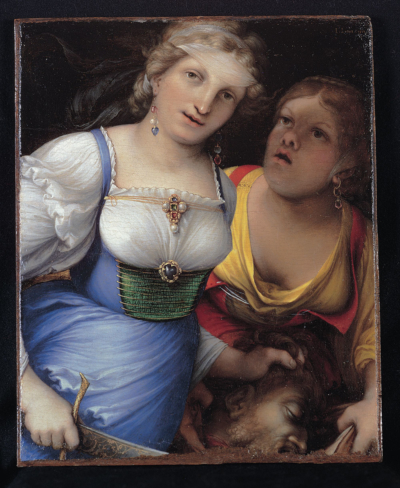 In Palazzo Buonaccorsi, where the public can admire its magnificent baroque decorations, Lotto’s experience in the Marches is recomposed. Some “linking” works integrate it, but the territorial bond is neither documented nor excluded. In such a manner, Lotto’s artistic evolution can be shaped. On the other hand, the cross references to many artworks of the territory are suggested by the instructional material and some videos specifically produced by Land Communication, along with the documentary directed by Luca Criscenti (which was presented in Madrid and London as well). It closes the exhibition by inviting the visitors to go visit villages and hills in Lotto’s footsteps. There’s just one exception: the touching presence of the big fresco, which has been detached and assembled on the canvas of “Saint Vincent Ferrer in Gloria” (1510-1512 ca). It is the only fresco to be known in the Marches. It was in the Church of Saint Domenico in Recanati, which was made condemned after the severe earthquake, so it has not been possible to admire the painting for a long time. It is now exhibited for this occasion, thanks to the collaboration with the local diocese. In the end, there is a provocation to create clarity around this issue and in the minds of everyone who could help. 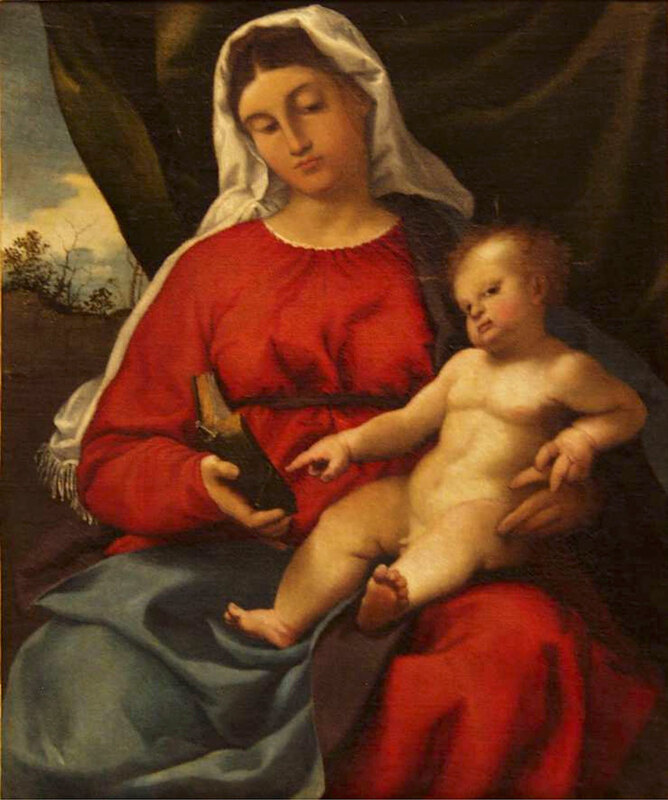 The last exhibited work is the empty frame of the prominent “Madonna of Osimo”, painted by Lorenzo around the ‘30s of the XVI century and stolen from the Church of minor friars in 1911, the same year as the notorious theft of the Mona Lisa. As opposed to Leonardo’s masterpiece, Lotto’s painting was never retrieved. It wounded the regional heritage, a wound yet to be healed. The ticket is valid 10 days from the day of its issue. (the municipalities of the province of Macerata), with annual validity starting from 1 November. Advantages: free admission all year round, cultural events and initiatives, bookshop purchases, news. With its unusual position “poking” out into the sea, over the centuries the city has been the landing place of great civilisations that have left important evidence of their passage: from the cathedral of San Ciriaco to the I century AD Roman amphitheatre and the Arch of Trajan. 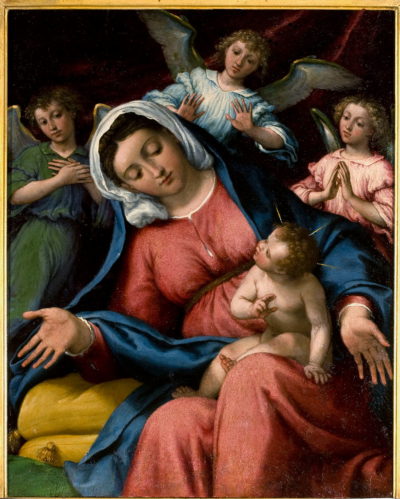 The Pinacoteca Civica – which boasts one of the most remarkable collections in Marche, with works by Titian, Sebastiano Del Piombo, Guercino and Crivelli – conserves the Sacra Conversazione, also known as Lotto’s Altarpiece of the Halberd. The work was commissioned to commemorate the events that occurred during the tyranny of Cardinal Legato Benedetto Accolti, with each character and object with a specific meaning in a cross-referencing of looks and symbols. 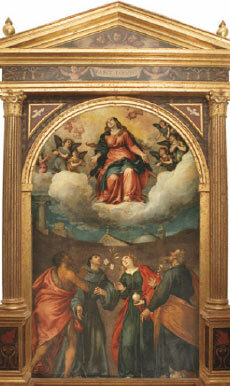 Elsewhere in Ancona, the church of San Francesco alle Scale safeguards another work by Lotto, the altarpiece of the Assumption painted in 1550: a Venetian work in its essence, marked by a concise and emphatic manner. Another Lotto site is the Loggia dei Mercanti, where an auction of his paintings took place in 1550. Immersed in one of the most beautiful, luxuriant and rarest areas of the Mediterranean landscape in terms of flora, Cingoli stands in a panoramic position at 630 m, which has earned it the nickname of “Balcony of Marche”. Its almost intact city walls and the many monuments in the historic districts with quiet, pretty streets attest to the glorious past of Cingoli. Lotto’s extraordinary Madonna del Rosario was painted for the high altar of the church of S. Domenico which, unfortunately is closed since 2016 earthquake; the masterpiece is now on display in the Sala degli Stemmi of Cingoli’s Palazzo Comunale. 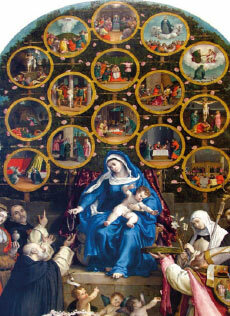 The work is an expression of Lotto’s great inventive fantasy and executive skill; painted shortly after the Ancona one, here he managed to create an altarpiece that is even more complex, not only for the presence of more figures but also for the extraordinary manner in which he depicted the fifteen mysteries of the Rosary. A beautiful town with an ancient Roman and medieval heart, set halfway between the sea and the mountains. Piazza Federico II, an ancient Roman forum and the birthplace of the famous Emperor Frederick II of Hohenstaufen, houses the multimedia museum called “Stupor Mundi” and the Museo Diocesano, with over 200 works from churches and religious institutions from the diocese of Jesi. In the eighteenth century, new public buildings were constructed in the oldest part of the town, including Teatro Pergolesi and Palazzo Pianetti, now home to the Musei Civici of Jesi, which preserve precious works ranging from archaeological items to modern works and five pictures by Lorenzo Lotto painted between 1512 and 1539 for the churches of San Francesco al monte and San Floriano. 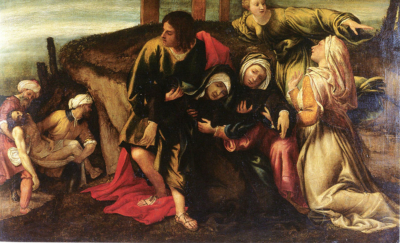 They include the large altarpiece of the Deposition, two small panels depicting the Angel of the Annunciation and the Virgin of the Annunciation, the Madonna of the Roses and, a true masterpiece, the famous Saint Lucy altarpiece. With the unmistakable silhouette of its Sanctuary and the majesty of the Apostolic Palace, Loreto immediately stands out for its beauty. The history of the Sanctuary has interlaced with the history of the city for centuries, since 1294 when tradition has it that Mary’s house in Nazareth was moved there. Among the various artworks preserved at the Museo Pontificio Santa Casa in Loreto there are seven paintings by Lorenzo Lotto that used to adorn the old Cappella del Coro, some of which painted by the artist in the last years of his life, spent at the Sanctuary as an oblate in the Santa Casa: Christ and the Adulteress, Saint Michael casting out Lucifer, The Adoration of the Child, The Sacrifice of Melchizedek, The Baptism of Christ, The Adoration of the Magi and The Presentation of Christ in the Temple. 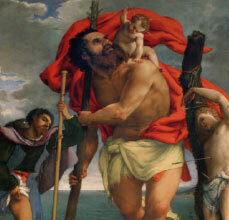 Another great picture, a Saint Christopher and the Child with Saints Roch and Sebastian can be admired in the Basilica della Santa Casa. Halfway between the Sibylline Mountains and the Adriatic Riviera lies Mogliano, a charming borgo perched in the hills of Marche. This unexpectedly beautiful little town commands the surrounding valleys. The church of Santa Maria di Piazza and the old oratory of the Madonna della Misericordia, now house of the MASM (Museo Arte Sacra Mogliano), adorn the town square, together with the Teatro Apollo. 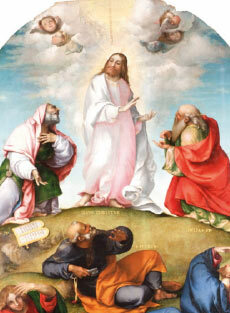 Joseph, also known as the Assumption altarpiece, painted by Lorenzo Lotto in 1548. 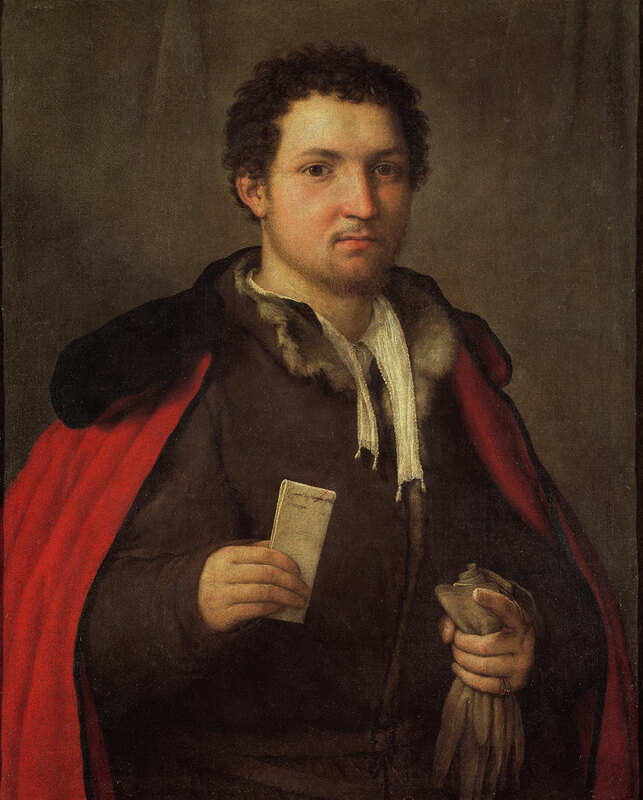 The painting and its frame were commissioned to Lotto by the mayor of Mogliano, Giacomo Boninfanti. 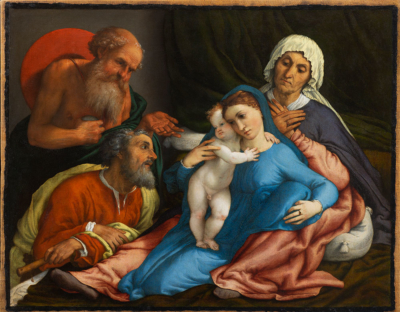 Completed in May 1548, the painting arrived in Mogliano from Venice, just in time for the feast of the patron saint of the town, Saint John the Baptist. Monte San Giusto lies amid the valleys where the Cremone and the Ete Morto flow, in a panoramic position facing the sea. Here stands one of the most important Renaissance buildings of Marche together with Palazzo Ducale in Urbino: Palazzo Bonafede, today site of the Museo di Monte San Giusto. Not far from here stands the church of Santa Maria in Telusiano (or della Pietà) founded in the fourteenth century but restored in the sixteenth, and housing a Crucifixion by Lorenzo Lotto in its original frame. 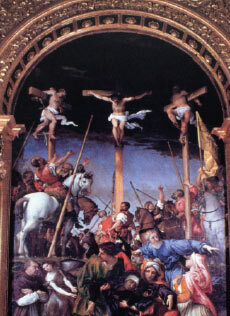 The work, commissioned to Lotto by Nicolò Bonafede, bishop of Chiusi and official of the Roman court, includes its patron: marked by a grandiose drama in the depiction of the Crucifixion, the composition also includes a portrait of Bonafede kneeling and contemplating the fainting of Mary. The picture is a representation of suffering in which the tragedy is never desperation and nor is the truth displayed as realism. Enclosed between Monte Conero, the Adriatic Sea and the Sibylline Mountains, Recanati is the most lyrical village in Marche, maybe all Italy. Protected by its ancient walls and by those hills that so much inspired Giacomo Leopardi, Recanati flourished in XII century, thanks to the union of three hamlets, the construction of the port and finally the conferment of the title of City as well as episcopal seat. Over the years, Recanati enjoyed the passage of humanists, artists and writers. 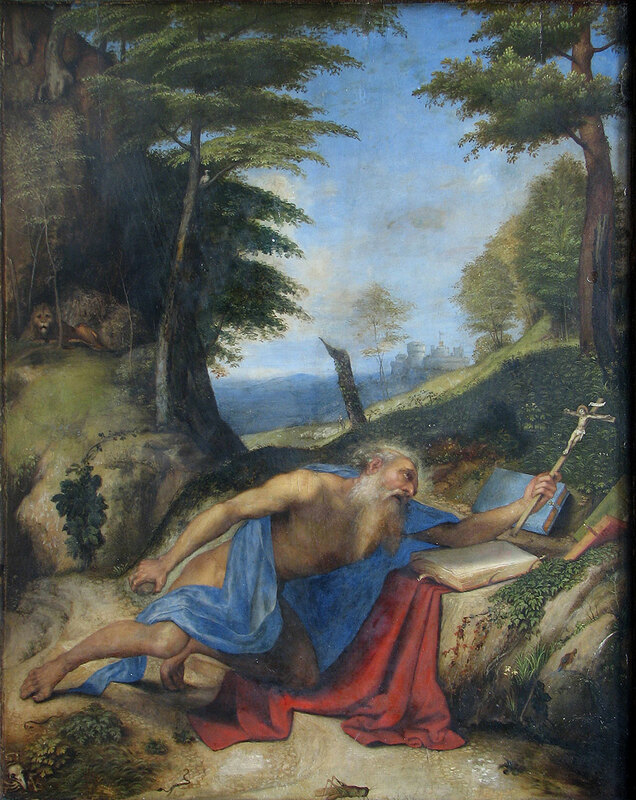 Here, the Museo Civico-Villa Colloredo Mels preserves an extraordinary corpus of works by Lorenzo Lotto: from the San Domenico polyptych, the young painter’s first work in Marche, to The Transfiguration of Christ, Saint James the Greater and his masterpiece: the Annunciation, perhaps Lorenzo Lotto’s most famous picture, which depicts the unfolding of the miraculous event exactly as it takes place. A UNESCO World Heritage Site since 1998 and the birthplace of Raphael, Urbino certainly is one of the most beautiful towns in Italy. The transformation from a medieval village to a Renaissance urban jewel took place under Federico da Montefeltro ruling, who was the lord of Urbino in the second half of the XVcentury. The Palazzo Ducale now houses the Galleria Nazionale delle Marche which, in addition to important paintings by Piero della Francesca, Raphael and Laurana, also conserves a Saint Roch by Lotto, purchased for the museum by the state in 2007. 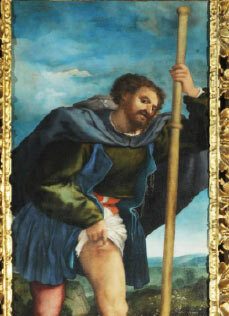 Part of a diptych, Saint Roch recurs in Lotto’s oeuvre for the devotional aspects associated with the figure of this saint, invoked to protect against the plague. As in the picture at Loreto, Saint Roch is accompanied by Saints Christoper and Sebastian while he indicates the typical marks of the plague, inviting the observer to trust in divine benevolence to be healed.